The Mistake Bank: Cynthia Kurtz's "Working With Stories" is out now.... buy it! 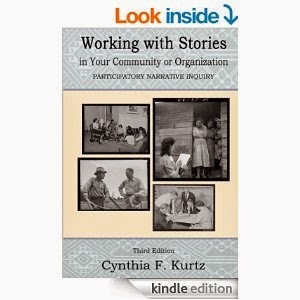 Cynthia Kurtz's "Working With Stories" is out now.... buy it! Cynthia Kurtz is one of my favorite people and biggest inspirations. Her deep understanding of the wisdom of people's ordinary stories has informed almost everything I've worked on in the past five years, including this site, the book, and 3-Minute Journal. Great companies tell and retell stories of past failures to make sure they don't repeat them. Christian Stadler, "The Four Principles of Enduring Success," Harvard Business Review, July-August 2007. Did you find a great mistake story? Send it to us at mistakebank (at) caddellinsightgroup (dot) com. We'd love to feature it!